In the annals of psychical research, Daniel Dunglas Home (1833 – 1886) is sometimes referred to as the greatest medium ever, at least the greatest medium producing physical phenomena. He is to mediumship what Babe Ruth is to baseball, a legend whose feats stand above all others. However, after reading Other Realities? The Enigma of Franek Kluski’s Mediumship by Zofia Weaver, I’m not sure I would rank Home over Franek Kluski (below) of Poland. 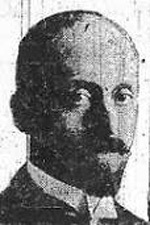 Kluski’s mediumship included full and partial materializations of both dead and living humans, animal materializations, levitations, apports, communicating raps, paraffin molds of hands and feet of the materialized entities, mystical lights around the room, and automatic writing. I had read about Kluski before, primarily in Dr. Gustave Geley’s book, Clairvoyance and Materialization, but Geley focused more on the hand molds supposedly produced by “phantoms” dipping their hands into paraffin wax in his laboratory than on anything else. (See my blog of July 25, 2011) Dr. Weaver’s book goes well beyond the material offered by Geley. She draws primarily from a 1926 book, Reminiscences of Séances with the Medium Franek Kluski, written in Polish by Colonel Norbert Okolowicz, who was present at most of Kluski’s séances in Poland. Weaver has translated Okolowicz’s 586-page book, offering the highlights along with commentary. Kluski was not a paid medium. In fact, he was a somewhat reluctant one, believing his Catholic faith was in conflict with it. He wanted no publicity, thus used Kluski as a pseudonym, his real name being Teofil Modrzejewski. However, he consented to be tested for whatever scientific value it might offer. Most of the experiments with him were behind locked doors. He was searched before entering the room, and on one occasion agreed to sit naked, his hands and feet being controlled by those sitting next to him. Even though they were certain that Kluski had no way to smuggle his own paraffin wax into the room, Geley and Charles Richet, a Nobel Prize winner in medicine, secretly added a bluish coloring agent to the paraffin to rule out the claim that Kluski was bringing his own molds into the room. As it turned out, the molds were produced with the same bluish tint. The strict controls applied by a number of distinguished scientists rule out fraud as much as reasonably possible, leaving three alternatives for the phenomena: 1) They were all produced by “spirits” of the dead, or discarnates; 2) They were all products of Kluski’s subconscious, while the sitters may have contributed to the manifestations with subconscious or conscious creations of their own in what is called a “group mind”; 3) They were a mixture or combination of the first two alternatives. Like many parapsychologists, Weaver seems reluctant to use words like “spirits,” “discarnates,” or anything else that might sound unscientific in her efforts to evaluate the Kluski phenomena in the final chapter of the book. Thus, as she does her best to not impeach herself in the eyes of her peers by directly addressing the spirit hypothesis, she seems to opt for the second alternative before hinting at an “other worldly” explanation that exceeds the boggle threshold, thereby suggesting that she secretly accepts the third alternative. I suspect that many readers will scratch their heads in bewilderment as to how Weaver views the phenomena, but some will realize that such is the dilemma of the professional who dares wade into spiritual waters. Weaver mentions the case of “Philip the imaginary ghost,” which was supposedly created by a group of Canadian researchers during the 1970s. 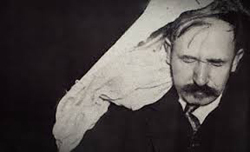 Many parapsychologists have concluded from this and other similar experiments that spirits of the dead, discarnates, whatever name be given them, are not involved. The phenomena, they believe, are all manifestations of the minds of the living humans present. Allan Kardec’s explanation more than a hundred years before Philip was “created” is not even considered. But if a parapsychologist were to give any recognition to Kardec’s explanation and that of Judge Hatch, he or she would invite scoffs and sneers from peers, as it would be most unscientific. To put it all on the “group mind” sounds so much more scientific, although the scientific fundamentalist would laugh at that as well. Is it any wonder that psychical research and parapsychology have made no progress relative to the survival hypothesis during the last hundred years? If spirit life is not even considered as an alternative, the parapsychologist is left with a never-ending conundrum. All that is not to suggest that the subconscious does not play a part in the phenomena. It seems clear that the subconscious of the medium can color or totally distort some spirit communication and that even the minds of the sitters can telepathically affect the phenomena. The problem is that because the parapsychologist is unwilling to consider spirit life or afraid that doing so will damage his or her reputation, the third alternative above is rarely addressed. In earlier chapters in the book, Weaver mentions phenomena which seem to clearly point to spirits of the dead materializing and communicating, including Okolowicz having reported that 84 persons confirmed recognition of 88 phantoms of deceased persons known to them. Also, about 25 percent of the messages coming through Kluski’s automatic writing were recognized as the handwriting of deceased persons known to the sitter but not to Kluski. Moreover, there were evidential messages that gave information apparently outside the knowledge of the sitter or Kluski. But Weaver does not deal with these in the concluding chapter, focusing more on the “group mind” idea, the one that appeals more to the “intelligent” mind. The questions I have yet to see addressed by any parapsychologist have to do with the possible motivation of the subconscious “other personality” – that part of the subconscious pretending to be a deceased human being. How is it that so many alter egos want to play this game of leading people to believe they are deceased loved ones and friends? And how do all these alter egos conspire in this worldwide and never-ending deception? Other Realities? The Enigma of Franek Kluski’s Mediumship by Zofia Weaver is published by White Crow Books and is available from Amazon and all good online bookstores. 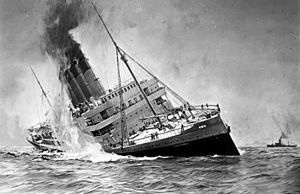 Since May 7 marks the 100th anniversary of the sinking of the RMS Lusitania off the coast of Ireland (below) by a German submarine during WWI, I thought it a good time to recall some spirit communication involving that tragic event, which involved 1,198 fatalities. 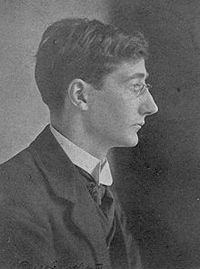 On the evening of May 7, 1915, Hester (Dowden) Travers Smith, (1868-1949), a prominent Dublin, Ireland medium and wife of a respected physician, was sitting at the ouija board with Lennox Robinson, (below) a world-renowned Irish playwright. Both were blindfolded as the Rev. Savell Hicks sat between them and copied the letters indicated by the board’s “traveler.” “Pray for Hugh Lane,” was the first message received. Following the prayer request, the traveler spelled out: “I am Hugh Lane, all is dark.” At that point, however, Travers Smith and Robinson were still blindfolded and had no idea as to the message. In fact, they were conversing on other matters as their hands moved rapidly. After several minutes, Hicks told Travers Smith and Robinson that it was Sir Hugh Lane coming through and that he had communicated that he was aboard the Lusitania and had drowned. 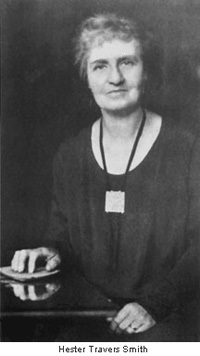 On her way home that evening, Travers Smith (below) had heard about the sinking of the passenger ship by a German torpedo, but she had not yet read the details, nor did she or the others know that Sir Hugh Lane was a passenger on the ship sailing from New York to England. She said that she knew Lane and had heard that he had gone to New York, but it never occurred to her when she heard of the sinking that he was on board or that he was returning from New York so soon. Although distressed by the message, they continued the sitting. Lane told them that there was panic, the life boats were lowered, and the women went first. He went on to say that he was the last to get in an overcrowded life boat, fell over, and lost all memory until he “saw a light” at their sitting. To establish his identity, Lane gave Travers Smith an evidential message about the last time they had met and talked, although when Travers Smith asked him for his cabin number on the ship as proof that it was Lane communicating, the number given to her was later discovered to be incorrect. She reasoned, however, that he was in a confused state and that it is not unusual for people to forget their cabin numbers. “I did not suffer. I was drowned and felt nothing,” Lane (below) further communicated that night. He also gave intimate messages for friends of his in Dublin. Thirty-nine at the time of his death, Lane was an art connoisseur and director of the National Gallery of Ireland in Dublin. He was transporting lead containers with paintings of Monet, Rembrandt, Rubens, and Titian, which were insured for $4 million and were to be displayed at the National Gallery. Sir William Barrett, professor of physics at the Royal College in Dublin, had the opportunity to observe and test the ouija board sittings at the home of Travers Smith. In his 1917 book, On The Threshold of the Unseen, Barrett confirmed the procedure as indicated above, including the fact that the two sitters were blindfolded. He reported that at times the traveler moved so rapidly that it was necessary to record the messages in shorthand. Although Barrett had no doubt as to the honesty and integrity of Travers Smith and Robinson, he designed special eye patches for them to wear so that there could be no question as to them seeing where the traveler was pointing. On one occasion he turned the board around to see if the results would be the same. They were. On another occasion, to satisfy a skeptical observer, who theorized that the blindfolded operators had memorized the position of the letters on the board, the letters were rearranged and a screen was put between the two operators who remained blindfolded. Still, coherent messages came. When Barrett asked the controlling spirit if any friend of his could send a message, he heard from a deceased friend, who sent a message to the Dublin Grand Lodge of Freemasons, of which he (the friend) had been a high ranking member. Barrett was reasonably certain that neither of the board operators was aware of the friend’s Masonic affiliation. On another occasion, Barrett sat at the board, securely blindfolded. He reported that he was startled by the “extraordinary vigor, decision, and swiftness with which the indicator moved.” The only message that came through was one that said Barrett was not suited for receiving. In other words, he did not have the mediumistic psychic power necessary to adequately receive messages. Before one sitting, Travers Smith and Barrett discussed how evidential the messages from Lane were to them, although they could understand why the public doubted. After the sitting started, a man who said he had died in Sheffield communicated first. Then, Travers Smith recalled, Robinson’s arm was seized and driven about so forcibly that the traveler fell off the table more than once. It was Lane, who was upset because of the doubts expressed relative to his communication. W. B. Yeats, the famous poet, also reported contact with Lane, his close friend, through a medium in London. He said that the medium told him that a drowned man followed him into the room and then went on to describe a scene at the bottom of the sea. In the Appendix of his 1916 classic, Raymond or Life and Death, Sir Oliver Lodge tells of a friend bringing one of the Lusitania survivors for a visit to his home. Lodge was fascinated with the woman’s account of the ordeal. “I found her a charming person, and she entered into the matter with surprising fullness, considering that she was a complete stranger,” the distinguished British physicist and educator wrote. The woman recalled being sucked down by the ship, then coming to the surface with the feeling of blank surprise at the disappearance of the huge vessel. Lodge found her account so interesting that he later wrote to her and asked her if she would write down in as much detail as possible her recollection of the event so that he could include it in the book. The woman complied, but asked that her name not be disclosed. The woman remembered talking to an elderly man about their chances of survival. “It was then I think we realized what a strong instinct there was in some of us – not to struggle madly for life – but to wait for something to come to us, whether it be life or death; and not to lose our personality and become like one of the struggling shouting creatures who were by then swarming up from the lower decks and made one’s heart ache.” She wondered if the “grim calmness” was part of some “desire to die” instinct. A minesweeper from Queenstown soon picked them up. “I am glad to have been near the border,” the woman concluded her remarks to Sir Oliver, “to have had the feeling of how very near it is always – only there are so many little things always going on to absorb one here.